Patio umbrella rentals provides shade and elegance to your party or event in the Santa Barbara area. 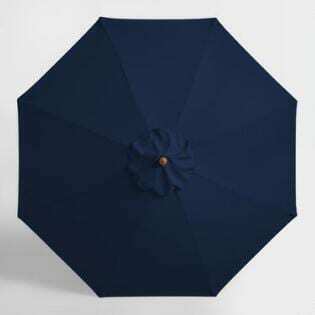 We offer market umbrella rentals in dark navy blue, royal blue and white. Blue umbrellas are great for formal events or to match your color palette. 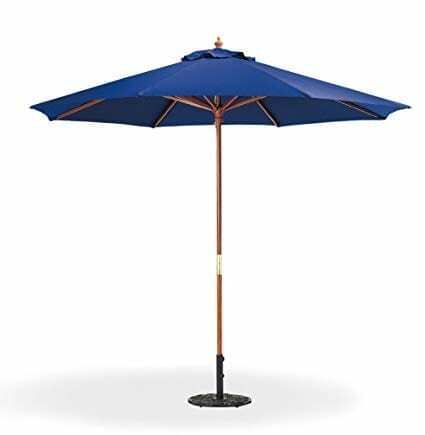 Umbrella rentals are poly top with a wood pole, and come with a commercial weighted umbrella stand. Umbrellas are popular for all event types. Easy to move around when the sun changes position, so you can enjoy the shade. Move umbrellas closing them, remove from base, reset the base, finally reset and open the umbrella.